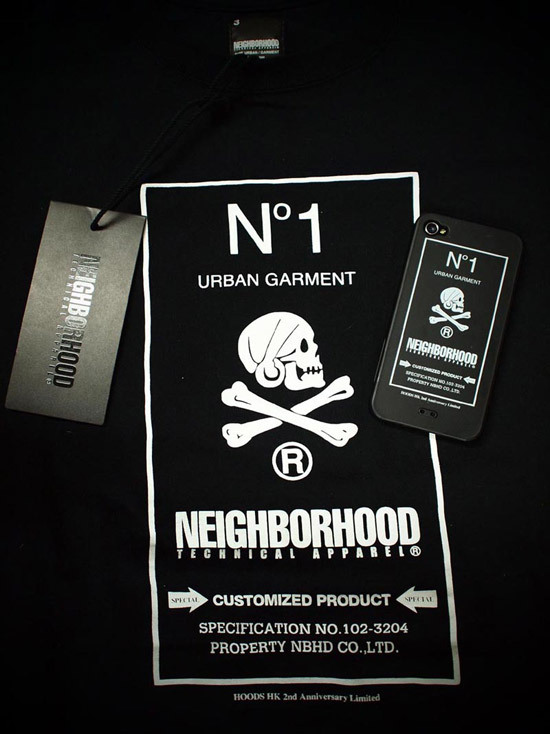 NEIGHBORHOOD HOODS HKG 2nd Anniversary T-Shirt/iPhone 4 Case Box Set - iPhone.MY - Daily News On Mac, iPhone, iPads, iPods and more! Celebrating the 2nd anniversary of NEIGHBORHOOD HOODS in Hong Kong, a special box set has now been released exclusively to the store. Priced at $999 HKD (approx. 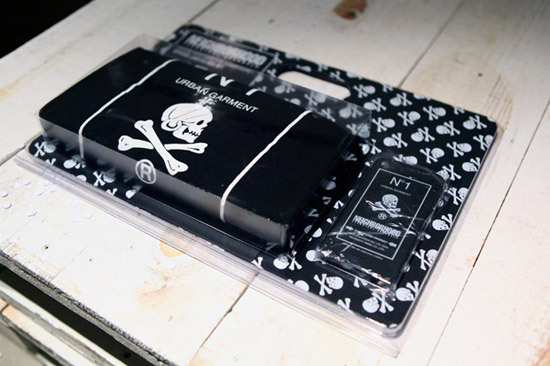 $130 USD), the gift pack includes both a graphic print tee and an iPhone 4 case. 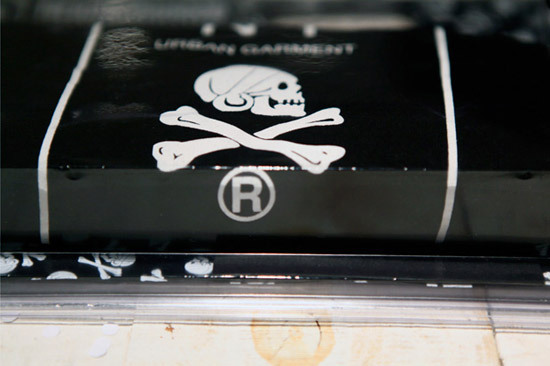 Each item is decorated with the Japanese label’s signature skull and logo motifs and comes in a black and white colorway. 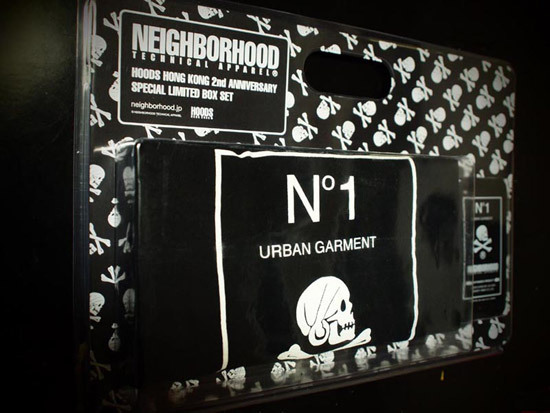 The anniversary box set is now available through NEIGHBORHOOD HOODS Hong Kong. iPad vs Galaxy Tab: How much are they really worth?